I am so excited to be writing this blog post. I am 20 weeks pregnant with our third and just announced it to everyone about a week ago. With moving across the country it was easy to push announcing this big event to the side but once we got settled we knew it was time. 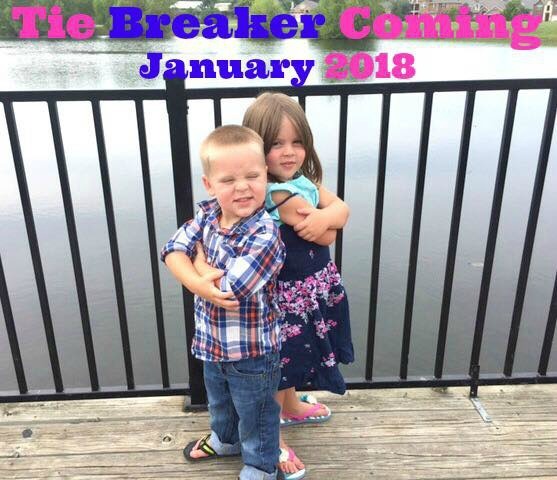 I knew I wanted to announce it in a cute and unique way. My husband on the other hand would have been fine with just updating his status to announce the news. So what we ended up with isn’t as adventurous as I had originally planned but I think it turned out really cute! Cute right? Before we ended up with this announcement I had collected a lot of ideas for announcing a third. So I thought I would share those so that anyone else who is searching for ideas can have an easy place to go. 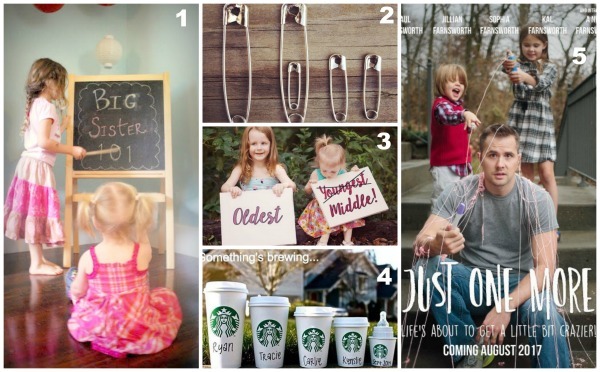 So here are some of the cute ideas I was able to find! This one is one of my favorites and there are so many variations of it online. It is so cute how the parents showed the relationship these siblings already have, that next baby is going to be loved! 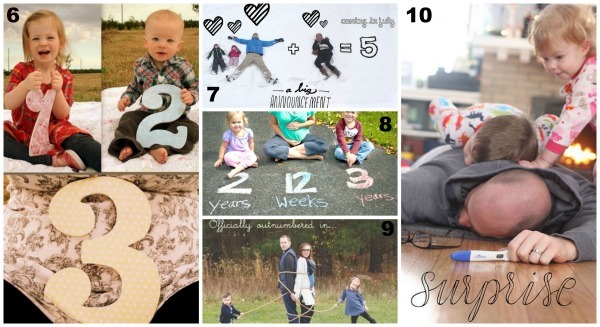 This idea is great for anyone who may not be up to posing a picture of the whole family or even just the kids (being pregnant is tiring and so is getting two kids to sit still long enough for a picture). This one you are still doing something cute but your don’t have to worry about any of the “models” moving. This one shows the youngest child’s new promotion (or is it?). This one made me think of my in laws who love coffee. You could also do this with any other chain that your particular family likes. Like for my family we could do Chic Fil A cups, the possibilities are endless and it gives it a personal touch. These are always fun. 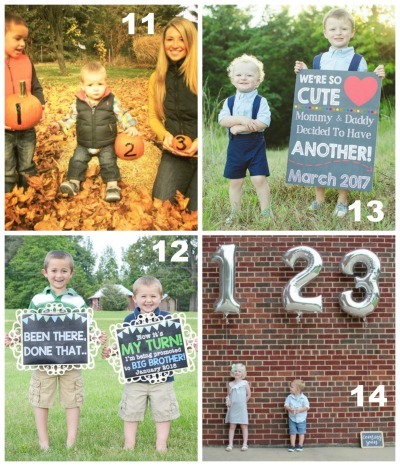 I have seen different renditions for each announcement I looked for during each pregnancy. You will definitely impress your friends and family but it will take some time and creativity to put together. Another easy one, especially if you do it like above and take the pictures of the children separately. It may be simple but it is very cute. This was another one I really considered doing. It is creative and may make your friends and family have to think a little before they get what the picture is trying to say. Of course you also don’t have to do this in snow, I wouldn’t have because snow does not exist in Texas especially in the summer months! This one is cute, just make sure to get some help from your husband and you are ready to go. I was so close to doing this. This announcement is unique and fun and will be sure to make your friends and family laugh. This one would be easy to take, just have your husband lay down and tell the kids to pile on. Another funny one and would be great if your husband has a good sense of humor. This is the perfect time of year to use this announcement especially if you love the fall! This one and the next are both linked to Etsy shops, I am not affiliated with either just thought these signs were cute. Neither of them are expensive but if you are creative you could probably make a rendition of your own. Giant balloons are so fun and your kids will have fun playing with them after, just make sure you pick a day that isn’t windy to take the picture. These are some of my favorite ideas I could find and of course there are many more out there. If you are expecting your third (or 1st, 2nd, etc.) let us know in the comments below, being pregnant is such an exciting time and should be celebrated by everyone! 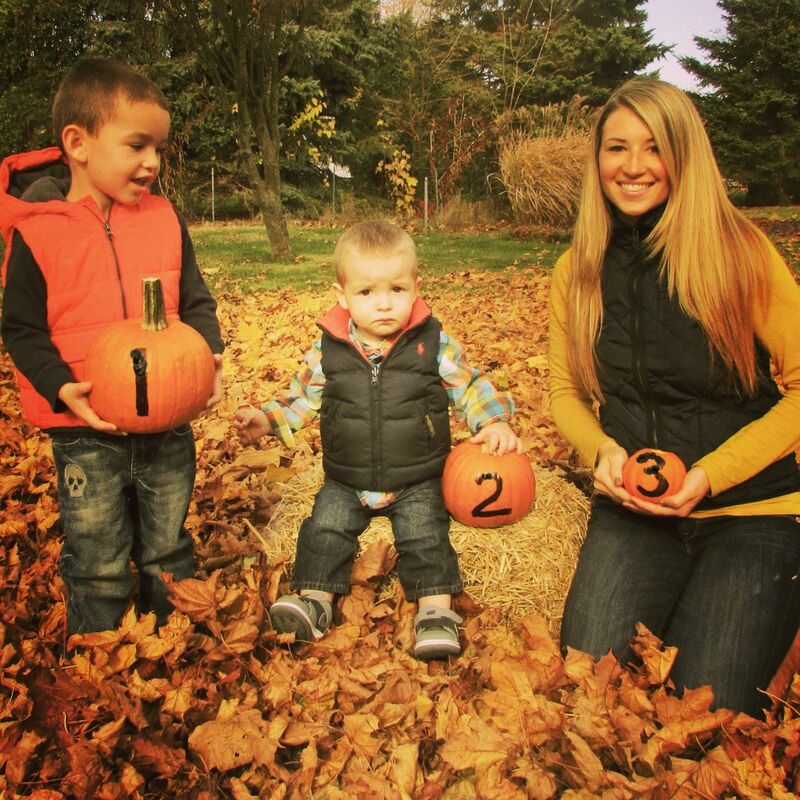 Also link to your pregnancy announcements, they are so fun to look at. « Photo tutorial on how to redo your table!